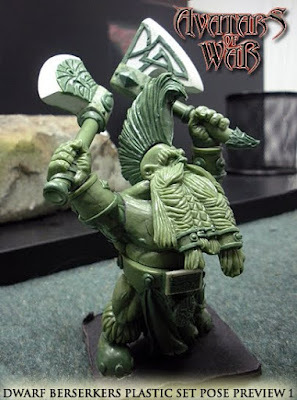 Children of the Kraken: AoW Plastic Dwarven Berserkers ships in April! AoW Plastic Dwarven Berserkers ships in April! "Pre-order will be this month (with exclusive pre-order bits for the command group). In April pre-ordered boxes will ship, and will be then available to order normally (without the exclusive pre-order bits)."